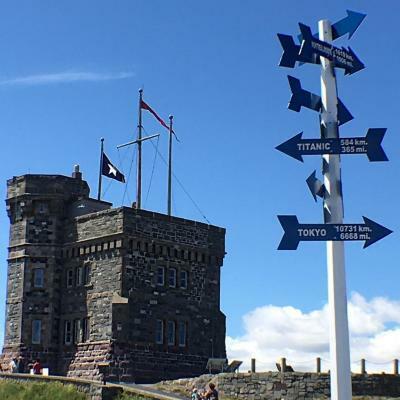 This historic site celebrates the rich communications and military history of Signal Hill and sits amidst a spectacular view of St. John's and the sea. Signal Hill was the reception point of the first transatlantic wireless signal by Guglielmo Marconi in 1901, as well as the site of harbour defences for St. John's from the 18th century to the Second World War. Signal Hill played an integral part of the St. John's defense systems from the 1640's to the Second World War.The first known defenses of St. John's harbour were shore batteries constructed on either side of the Narrows to protect St. John's against naval attack. St. John's fell to the French marching overland from Placentia in 1696, 1705 and again in 1709. In 1713, the Treaty of Utrecht recognized British sovereignty over Newfoundland, temporarily ending conflict between Britain and France. In June 1762, the French again captured St. John's, this time to strengthen France's bargaining position after the loss of Louisbourg and Quebec. In September, the British reclaimed the Town when Lieutenant-Colonel William Amherst advanced on St. John's from Torbay. By taking Signal Hill first, Amherst had a strategic advantage over the French at Fort William. They surrendered after a night of mortar bombardment from the Hill. The fortification of Signal Hill began during the Napoleonic Wars. Queen's, Wallace's, Waldegrave, Duke of York's, Quidi Vidi Pass and Carronade Batteries date from this period. The Hill was the place of ultimate retreat for the garrison at Forts William and Townsend. An impressive show of strength here in 1796 deterred a French fleet, under Admiral de Richery. New barracks were built at the Queen's Battery and the summit in the 1830s, and the hill was fortified again during the American Civil War. In the First World War a contingent of Newfoundland Legion of Frontiersmen manned Fort Waldegrave in the Narrows. During the Second World War, the United States maintained anti-aircraft artillery, coastal defence guns and a mobile battery on the Hill. A landmark promontory that frames the entrance to St. John's Harbor, identifiable by the profile of Cabot Tower. 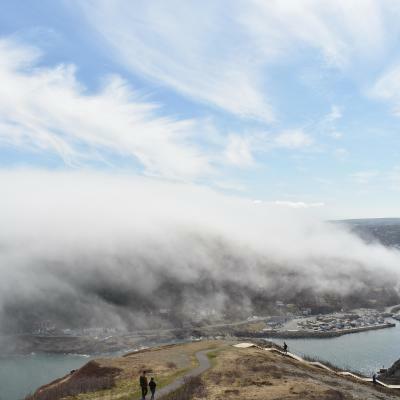 Signal Hill played important roles in Canadian defense, observation, and communication throughout history. 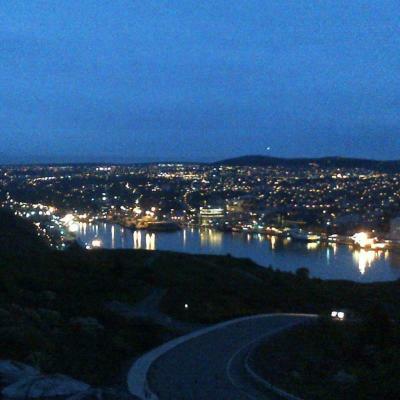 Due to its strategic location in the only entrance of the Narrows of the St. John’s Harbor, Signal Hill along with Fort Amherst were the sites of harbor defenses from pirates and early settlers from the 18th century through the Second World War. The final battle of the Seven Years War in North America was fought in 1762 at the Battle of Signal Hill, in which the French surrendered St. John's to the British under the command of Lt. Colonel William Amherst. Upon British victory, Lt. Colonel Amherst renamed the site then known as “The Lookout” as "Signal Hill”, because of the signaling that took place upon its summit from its flagmast. From the 17th Century until 1958 flag communication between land and sea would take place there. 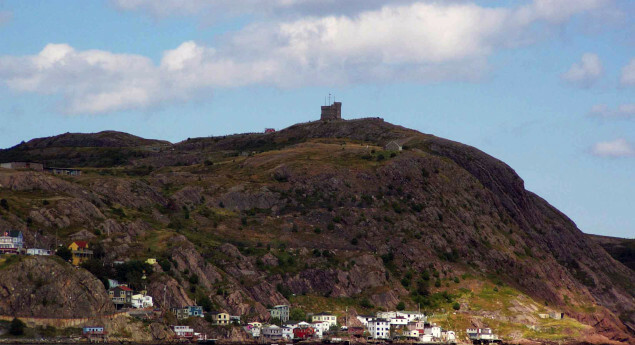 During Signal Hill's first construction period in the late 18th century, Signal Hill was designated as the citadel for St. John's. Ruins of later 19th century military buildings and weaponry can still be seen at the site. The history of Signal Hill also embodies the modern advancements in communications, from flags and visual signals to wireless signals. Signal Hill was the place of port signaling services which originated in 1704. 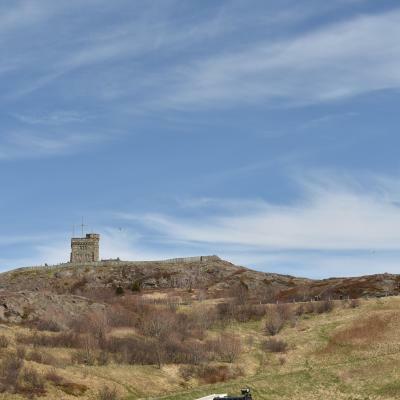 From 1898 to 1900, Cabot Tower was built to continue the port signaling service and in honor of Queen Victoria's Diamond Jubilee, and the 400th anniversary of John Cabot's "Voyage of Discovery". Once completed, flag signaling continued from the deck of Cabot Tower until 1958. On 12 December 1901 Guglielmo Marconi received the first transoceanic wireless signal in a former military barracks on Signal Hill. From 1933 to 1949 the Canadian Marconi Co. operated a wireless station on the second floor of Cabot Tower. In the Canadian Department of Transport took over the station and operated it until 1960. Today the tower contains exhibits describing Marconi's wireless reception at Signal Hill and a gift shop. 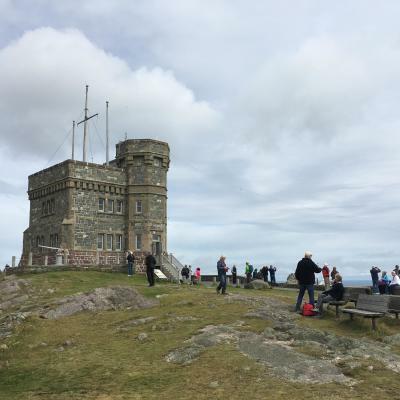 Another prominent attraction in Signal Hill is regarding the system of walking trails on the seaward side of the summit which provide astonishing views of the Atlantic Ocean and the rugged coastline. 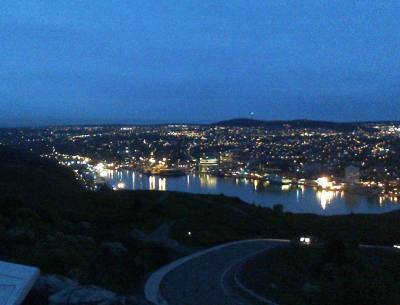 Signal Hill and Cabot Tower have become St John's most iconic historical structure. Photo Credit: Photography copyright (c) 2013 www.pc.gc.ca. Licensed under the Creative Commons Attribution-ShareAlike License. 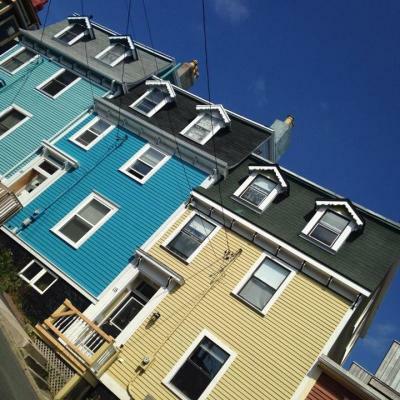 My first time in NFLD and I'm loving it! What a spectacular view of the city!! This is my absolute favorite place in the world to visit. The view is amazing. Its at its most beautiful point when the fog begins to roll in. Can't wait to go back. Cabot Tower was built between 1898 to 1900 to continue the port signaling service and in honor of Queen Victoria's Diamond Jubilee, and the 400th anniversary of John Cabot's ''Voyage of Discovery". Photo: Photography copyright (c) 2013 www.pc.gc.ca. Licensed under the Creative Commons Attribution-ShareAlike License.